The BBC director general is expected to announce the release of much of the corporation’s huge back catalogue of classical music broadcasts and recordings to the public. Speaking on Thursday at the launch of the BBC’s Our Classical Century, a year-long celebration of music programming, Tony Hall is planning to unveil an initiative to make key works in one of the largest publicly owned music archives in the world available on demand. The release will include key recordings made at the BBC Proms on television and on Radio 3, seminal interpretations of works from the BBC orchestras and choirs, and from major talent competitions, such as BBC Young Musician, the New Generation Artists and Cardiff Singer of the World. “While the way we consume and share content is changing rapidly, music’s ability to bring us together has stayed the same, and classical music’s role in that should not be underestimated,” Hall is due to say. He is also expected to highlight the BBC’s importance at the centre of Britain’s creative industries, and warn that its role is not sustainable without additional resources. Our Classical Century will run on BBC Two, BBC Four, BBC Radio 3 and on BBC Sounds from mid-November. That will be very welcome. Might seem perverse to complain about its limitations, but broadcasts by the BBC's own orchestras are only part of its classical music activity over the years. Also, the BBC purged its sound archives back in the 1960s to reuse the tapes, mass destruction in aid of British thriftiness, so many of its historic broadcasts are gone, though maybe those circulated by the BBC Transcription Service survive on BBCTS records. A poster on another forum states that he had once met someone whose job at the BBC was to pick the tapes that were to be recorded over. Ouch! Home recordists, though, have taken up the slack, but not all of it, providing some of the "lost" broadcasts, via YouTube, Archive.org, and the Concert Archive, SymphonyShare and OperaShare forums among others, and often in very good to excellent sound. Yes, at least from the 1950s on when tape recorders for the home were available. The BBC discovered years later that there was still an audience for "The Goon Show" and began to rerun what they had; off-the-air recordings by listeners filled many large gaps in their archives. But the Goons' original broadcasts had some of the largest audiences in BBC history, including my family during our year in England, and many of them (including us) recorded some of the shows from our radios - very low quality audio. The audience for classical music programming, mainly on the academic/elitist Third Programme, must have been much smaller, and the number of listener-made recordings much fewer. And I've heard that the archival recordings that survived the purge were mainly newscasts and such; music was very low priority. Last edited by John F on Sun Oct 07, 2018 7:03 am, edited 1 time in total. Hadn't considered what was lost before widespread tape recording kicked in. Of course, German radio had already perfected concert taping during the 40's. Currently listening to 12 hours of Toscanini's 1938-44 NBC broadcasts. Amazingly good performances, decent sound to boot. Also in my personal AT-in-his-prime-years rediscovery, these from 1946 concerts in Lucerne and Milan. The problem with holding onto music is often an issue of rights. If the BBC did not negotiate and pay for perpetual rights for broadcasts from the artists, then they are in a legal bind about using them. Such permissions are more standard in other types of programming so Desert Island Discs, which used commercially released material and one or two commentators, are easier to re-broadcast. 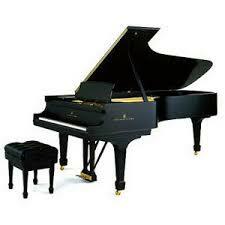 The rights for re-broadcast of concert recordings can be very thorny. Given that the BBC is a broadcaster and not funded as an archive, there is some reason why they had a tendency to destroy recordings. Today, with digital storage that is not such an issue, but in the days of 15 ips 2 track tapes, it was a big issue. Mr. Berky can make excuses for the BBC's short-sighted destruction of its broadcast recordings, but they have no apparent bearing on the reason - to save money by reusing the tapes. I don't know what the BBC's budget may have been back in those days; today it's nearly £5 billion. What's the price of 10.5" reels of top-quality recording tape, bought in bulk? I don't know, but today 50 years later a single reel costs about $80. You see my point. Another poster, Karl Miller, a recently retired musicology prof and librarian from the University of Texas, observed that he had offered the BBC copies of his tapes of material they had apparently discarded and was told they had no interest in such material, even though it would have helped replenish their archive. Go figure. Much BBC music has been issued on BBC Legends label and some are appearing on the ICA (ica) label. I have enjoyed these live concert recordings very much and have many of them. I was sorry to see BBC Legends drop off the board in additional productions. It would be really interesting to see what artists ARE available. Did I understand correctly that these won't be CDs but downloads? That would be a big disappointment for yours truly. 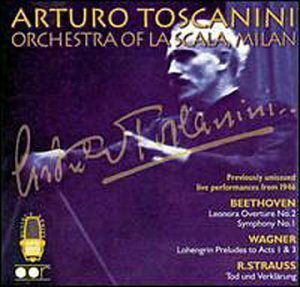 All but one of Toscanini's many concerts with the BBC Symphony in the 1930s were broadcast. Some were transferred to 78 rpm masters by HMV, others weren't. I wonder if these will be included in the program. We'll soon see! Yes, there's an Elgar "Enigma Variations" and a "La mer" that I'm particularly fond of, along with Toscanini's Brahms Symphonies from the early 1950's with the BBC. I wonder what else has survived? One can hope! I am listening to his early 40s revelatory NBC broadcasts. In my end is my beginning. there's an Elgar "Enigma Variations" and a "La mer" that I'm particularly fond of, along with Toscanini's Brahms Symphonies from the early 1950's with the BBC. I wonder what else has survived? Those have been published, but there are dozens of other concerts that have appeared only on private records if at all. It's those that I was asking about. As for the 1950s Brahms cycle, that was with the Philharmonia Orchestra, though it was broadcast by the BBC. That's it so far. My problem was I was not studious about always showing BBC in the cataloguging process. I will have to do some double checking on other items. Thanks. I just ordered the whole thing from the "people's university", the Cleveland Public Library. More rarities from the BBC Transcription Service. Boult performing Rubbra! I ordered it, too. Oddly, I didn't have it for reasons unknown. So many books have been written about Toscanini.